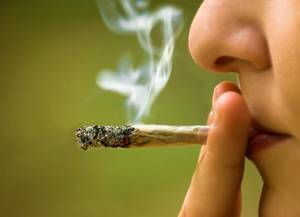 Despite growing state legalization and a cultural shift toward greater acceptance of marijuana use and consumption of marijuana-derived products such as Cannabidiol (CBD) oil, Coast Guard and U.S. Department of Transportation (DOT) chemical testing continues to identify as dangerous drug users individuals with significant amounts of delta-9-tetrahydrocannabinol (THC), the primary psychoactive ingredient in marijuana, metabolized into their systems. While CBD itself will not cause a positive DOT test, CBD products commonly contain psychoactive THC in sufficient amounts to cause a positive drug test. Further, once THC is in a person's system, it may remain detectible in urine samples for weeks and hair samples for months after its use is discontinued.